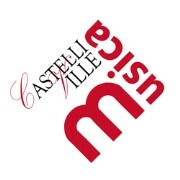 THE BREMEN TOWN MUSICIANS CASTELLI E VILLE IN MUSICA 2015 is a travelling classical and baroque music festival that takes place in some of the most beautiful historic buildings of the foothill areas of Veneto. Concerts, open rehearsals, master classes, listening laboratories, music and storytelling shows for kids and families. Storytelling and music show. Min. age: 5. A donkey, a dog, a cat and a rooster meet and decide to escape from their painful destiny… in an escalation of surprises! Entrance ticket 5.00 €. Booking recommended.